We believe the car shopping process should be fun and easy and at Rusty Wallace Nissan near Oak Ridge Tennessee, you’ll find we are very different from the traditional car dealership. Not only is our sales process less invasive, but it’s tailored to your personal shopping preferences. Whether you prefer to shop for your dream car online or browse our inventory in person, we will personalize our process to you. That’s the Rusty Wallace Nissan difference. In addition to our straightforward, easy-going shopping process, we are proud to offer financing and genuine Nissan service and repair. 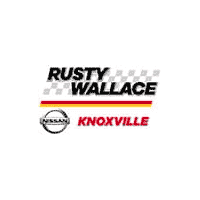 Conveniently located near Oak Ridge, TN, Rusty Wallace Nissan is family owned and attracts customers from all over the area. Rusty Wallace Nissan is proud to stand behind the Nissan brand and carry all of its newest vehicles, including the Versa, Altima, Rogue, Sentra, Titan, Maxima, Juke, Murano, Quest and Pathfinder. Whether you’re looking for a sporty SUV or a sleek sedan, you’re sure to find it at Rusty Wallace Nissan near Oak Ridge. Our inventory is extensive, but sometimes our customers want to order a custom model directly from the Nissan factory. Our team of experts can help and will not only walk you through all the options available to you, but will place your order in for you and notify you as soon as your vehicle is ready. In addition to our extensive new Nissan inventory, we are proud to have a large array of pre-owned vehicles. We carry many different makes and models and you never know what gem you’ll find in the Rusty Wallace Nissan of Knoxville inventory. Here you will find SUVs, minivans, crossover SUVs, sedans, coupes, hatchbacks, trucks and much more. Most importantly, every vehicle has undergone a thorough multi-point inspection to ensure it is in top condition. Only once our experts can determine that they have a quality, top-notch vehicle does it receive the Rusty Wallace Nissan of Knoxville seal of approval. If you’re looking for an easy approach to shopping for, financing and servicing your dream car, look no further than Rusty Wallace Nissan near Oak Ridge Tennessee. Visit our showroom today at 4515 Clinton Hwy, Knoxville, TN. 37912 for our straightforward, no-hassle process makes it easy to find exactly what you’re looking for. To get started, you can browse our inventory here or stop by and see it all in person today!